For 100 years, Chevy has been as strong and dependable as the people who drive them. 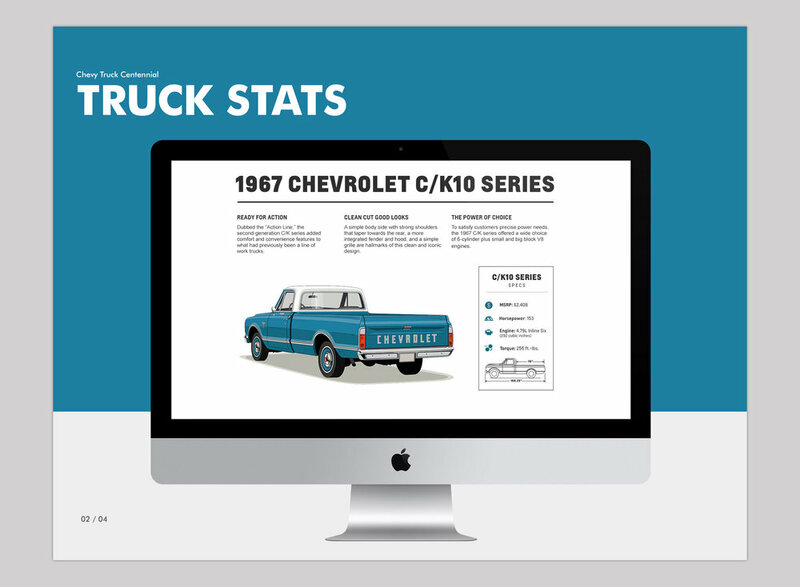 To honor this history, we created an interactive timeline to feature interesting facts, custom technical illustrations, and photos from GM's historical archive. The site is optimized for content discovery, allowing a seamless visual browsing experience. 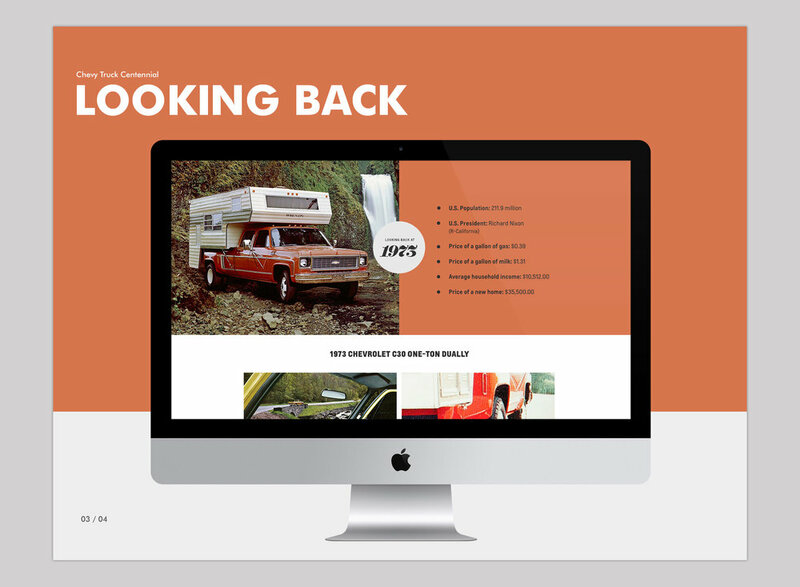 Truck details are viewed by selecting a year from the timeline, which automatically updates the page content. The uncomplicated navigation makes the UI feel effortless and encourages users to explore.